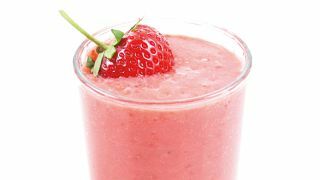 Look, we like a good smoothie as much as the next blended fruit fan, but enough is enough. Someone's been breaking into Snapchatters' accounts and sending out pictures of tasty drinks with a link to some (reportedly) scam site. It's weird and not cool. You know who you are, evil spammer bearing delicious fruity promises. Check out our blips - but no screenshotting, yeah?